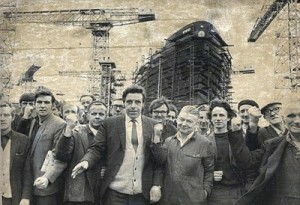 The Jimmy Reid Foundation is now using the https://www.facebook.com/TheReidFoundation/ account and is posting regularly on Foundation matters (announcements, new papers etc) as well as on issues close to the heart of Jimmy Reid (eg on issues of work, employment, unions, social justice etc). Please follow the Foundation on facebook! The Jimmy Reid Foundation is now using the https://twitter.com/ReidFoundation twitter account and is tweeting regularly on Foundation matters (announcements, new papers etc) as well as on issues close to the heart of Jimmy Reid (eg on issues of work, employment, unions, social justice etc). Please follow the Foundation on Twitter! Members of the Human Rights Consortium Scotland (HRCS) met on 1st June and agreed on a co-ordinated campaign to defend the Human Rights Act (HRA), and to promote human rights for everyone in everyday situations. Human rights standards and principles reflect our basic values of fairness, respect, equality and dignity. “The real issue for politicians is to ensure the general public enjoy and can equally assert human rights in everyday places. A campaign of demonization against human rights only makes sense if you want to create public hostility to rights that should in fact empower us all, as well as the weakest in our society, and offer us all protection against failings in public services. Human rights belong to public service workers too and can be used within organisations to deliver more effective, people centred services. Aidan Collins from HIV Scotland outlined how the protection afforded to its members by the HRA had changed how individuals approached public services and influenced their expectations about how services are delivered as well as which services should be available. The next HRCS event is its national conference on 25th June ‘What Next for Human Rights’ which will be addressed by the Cabinet Secretary Alex Neil. The Queen’s Speech Briefing Pack is available on the Ministry of Justice website and quote appears at page 75. The Foundation’s sister organisation Scottish Left Review, co-sponsored a fringe meeting at the STUC congress on challenging austerity and highlighting the cumulative misery and suffering caused to the poorest and most vulnerable in our society. It was standing room only as we heard from UNITE, RMT, PCW, the acting Editor of the Morning Star and striking porters from Ninewells Hospital in Dundee. The meeting discussed human rights as workers rights, ending austerity to make social justice a reality for all and highlighting attacks on basic trade union rights such as participating in union activities and more insidious attacks on the general right to protest.